On November 26, JCU alumna Eva Paunova was featured in an article in the Financial Times entitled "Tapping the talent of Generation D would be a key stroke for EU." On Wednesday, November 25th, four of the five advisers of the Guarini Institute took part in a business luncheon at the New York Athletic Club. The John Cabot University Department of Communications was pleased to host director Carlo Lavagna and writer Chiara Barzini for a screening of their 2015 film, Arianna. Film critics have praised the film as "a worthwhile addition to the growing pile of alternative gender studies on film." On Friday, November 20th, Professor Federigo Argentieri presented his paper "Putin in the West - Kremlin Propaganda as Echoed in EU Countries" at the 2015 Annual Convention for Slavic, East European and Eurasian Studies in Philadelphia. 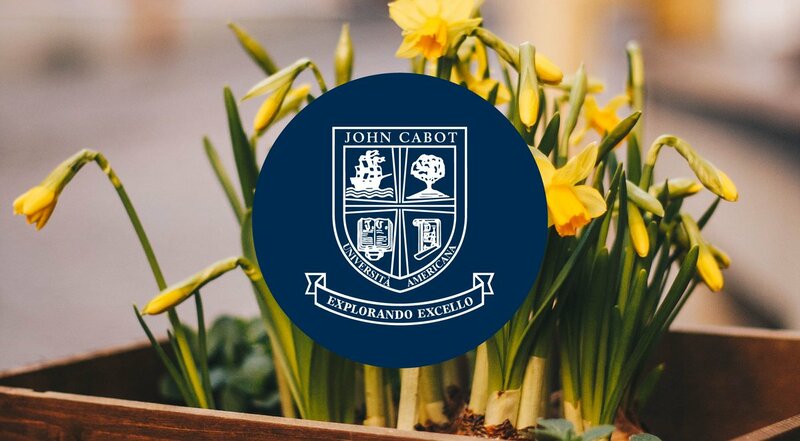 The thoughts and prayers of John Cabot University are with the people of Paris, after this new and tragic terrorist attack, which left hundreds of people dead or wounded. On Thursday, November 5th the JCU Interfaith Initiative welcomed Dr. Anthony Carroll to speak on "Atheist Secular Dialogue". On Wednesday, November 4th, 2015, the Guarini Institute for Public Affairs hosted a film screening and discussion of Roberto Salinas' "The Troublemaker: Behind the Scenes of the United Nations". The Fall 2015 edition of John Cabot University’s Career Fair hosted 82 representatives from a variety of industries. This is a series of informal roundtables and debates featuring distinguished alumni of the Fulbright Program.